Ice and snow in a tropical country. For my Geography students, the influence of altitude. Can you remember how altitude affects temperature? Mt Kinabalu is 4095m tall. 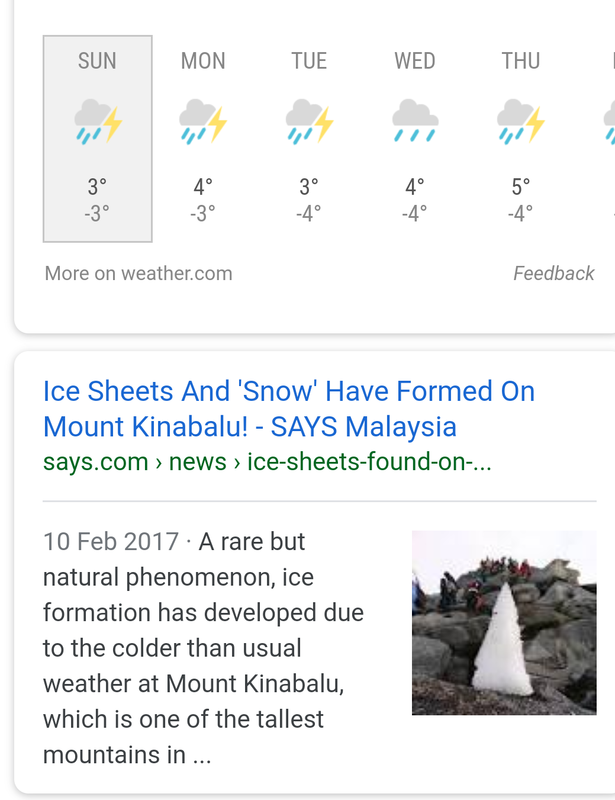 When did Mt Kinabalu experience cold temperatures? Where is Mt Kinabalu located? Why did Mt Kinabalu experience cold temperatures though it is located near the equator? What are the other factors affecting temperatures? Who do you think are affected by the cold temperatures? How does temperature affects people and human activities? 0 Response to "Lower temperatures in Jan 2018"